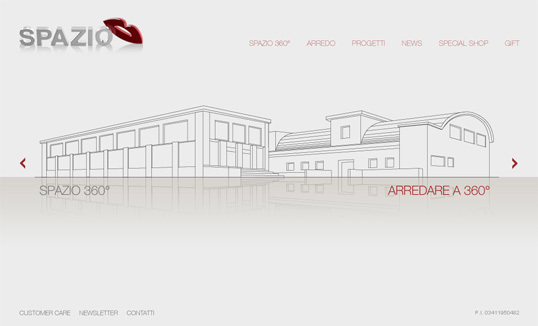 Decorating 360 °, is the brainchild of the company “Space 360 °” (Termomarket Srl, Florence), the new site created by WND. A conceptual space, where the décor, design and bind the project to the new concept proposed by the company, to consider the customer as the center of gravity around which to develop proposals and projects. 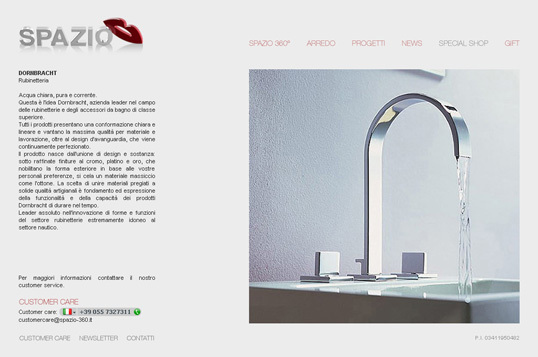 On the site you can see the marks of excellence and the latest types of manufacturing, materials and products on the market and how it runs projects and limited edition design and offering advice to users who request it. Other interesting services that are short, you can also buy directly from the site and profit service that updates and newsletters to industry experts, users pay more attention to the evolution of design and connoisseurs of design and architecture.